My father, Les Bergsma, passed away on July 24th at the age of 90. On Friday, September 3 the family gathered together to remember and celebrate his life. It was a very special day for us as we gathered at the old seaplane base location and had a Cessna floatplane fly overhead and drop roses on Lake Whatcom. He was a kind man with a gentle spirit who lived a life of integrity and faith. What I have done and what I am doing today is largely due to his influence. Many of you know that I have a background in aviation, but few know that my father was also a pilot. He was a C46 and C47 pilot instructor during the war. 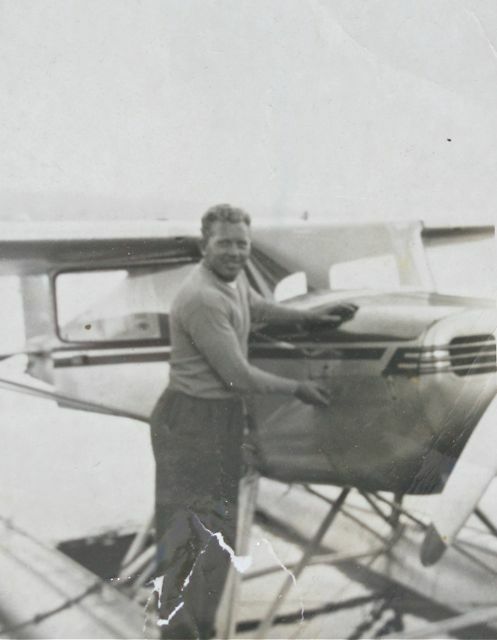 After the war he returned to the Northwest to start Bellingham Sky Harbor which provided seaplane charter service to the San Juan Islands. 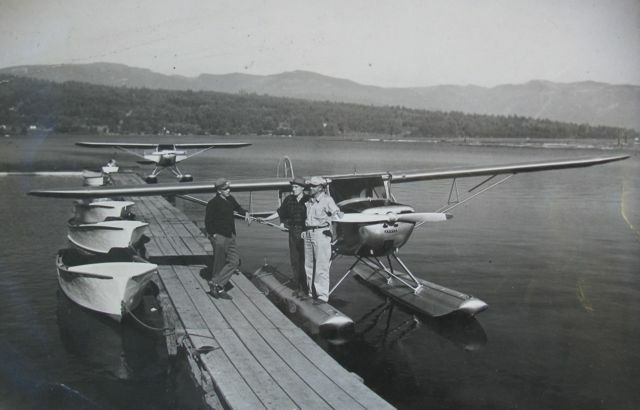 I have many happy memories of growing up on Lake Whatcom, being around boats and planes, and flying the old seaplane when I could not even see over the instrument panel. 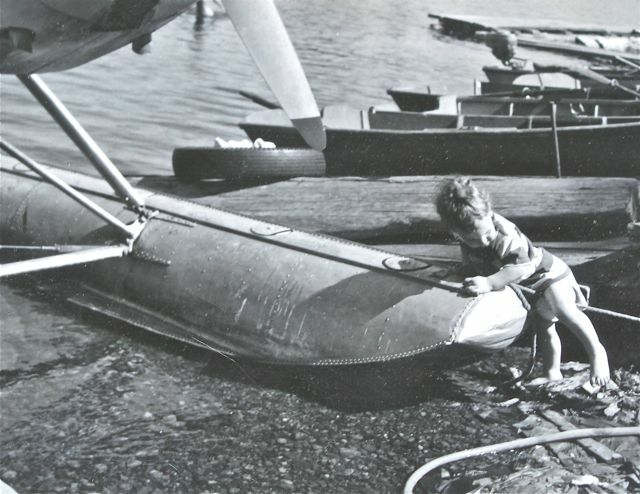 In the final picture you can see me messing around with the floatplane at a very early age :-). 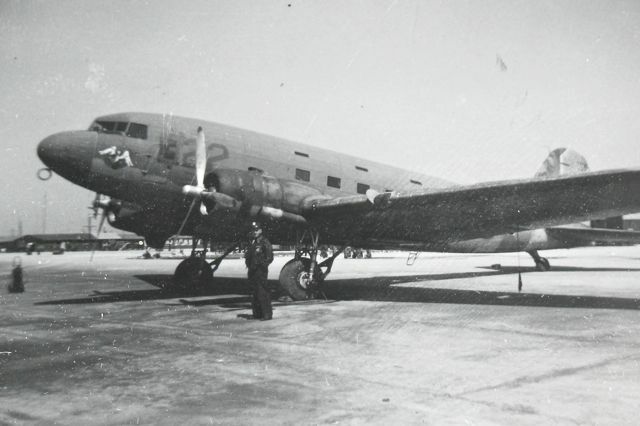 These two aircraft were used throughout the war primarily for cargo and troop transport. Dads job was to make the final decision who was qualified to fly left seat (captian) and who was only qualified to fly right seat. 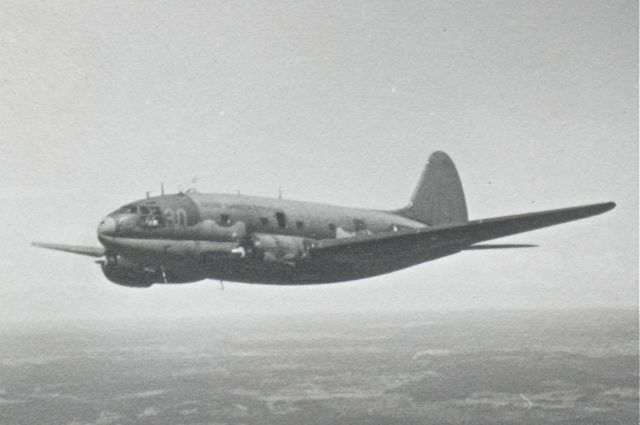 Many of his students went on to fly both transports and bombers in the European theater. A number did not return. These pictures were taken in the early 1950s. 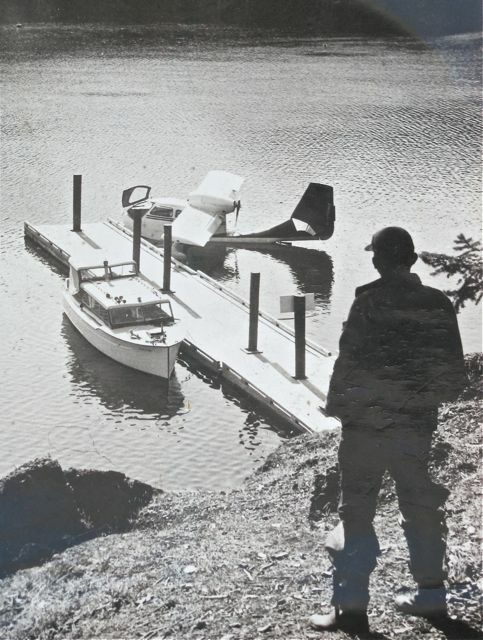 This was a time when the seaplane provided a quick and reliable (weather permitting!) means of transportation to the many Islands that make up the San Juans. For those of you who have flown - can you image flying a Cessna 140 on floats. Now that took some skill getting off the water with a heavy load! My childhood was full of fun and adventure as I got to travel along with Dad on many occasions. Living on a lake and growing up around that type of activity was very special. Dad owned some commercial salmon fishing boats that we worked on during the summer months. Oh, how I loved seeing those big schools of salmon heading towards the nets! Dad was a loving and kind husband and father who give his 5 children freedom to express their interests and creativity. I dragged home my first car (1928 Model A) when I was 13 years old without his permission. Paid $20 for it. Imagine if he had scolded me and told me to get rid of it. I think my Dad knew even then that I had a passion for all things mechanical and that he should just let me run with it. I believe that one of the greatest gifts a father can give their children is a happy childhood. Thanks, Dad, for giving me that special gift. Why We Don't Trust Tire Shops Anymore to "Do it Right."